University of Groningen was founded in 1614. The University claims the first female student, the first astronaut in the country, and a Nobel prize winner. They collaborate with a number of renowned, foreign universities, including Uppsala, Göttingen and Ghent. The University holds special emphasis on research themes Healthy Ageing, Energy and Sustainable Society. University of Groningen is ranked 120th in the world by the 2019 QS World University Rankings. The University is rated 83rd in the world and 7th in the Netherlands according to the Times Higher Education World University Rankings 2018. 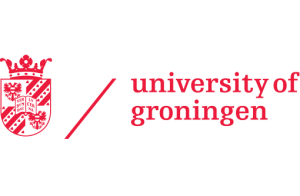 The University of Groningen is a member of the so-called Excellence Group of the best universities in Europe and belongs to the top 100 large comprehensive research universities in the world. Academically, the University’s strength lies in Classics & Ancient History (27th).